I have a keynote that I deliver at places from corporate annual meetings to small family businesses. 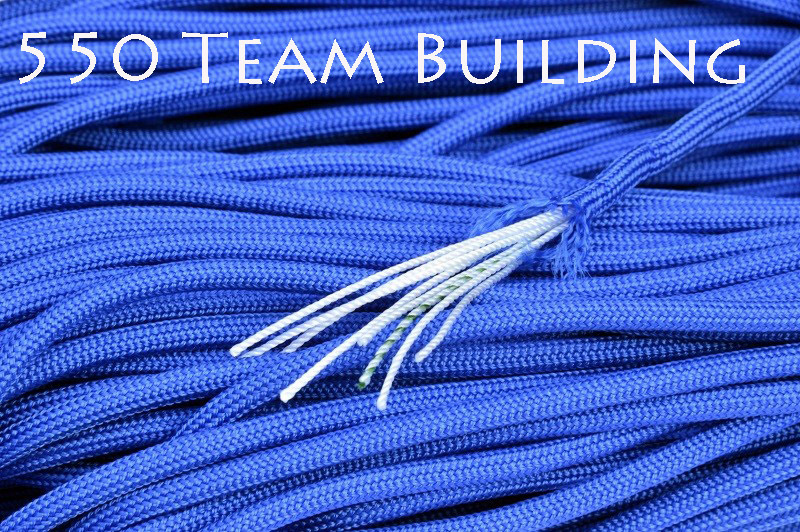 It’s called 550 Cord Teambuilding– Utilizing Small Team Tactics in Business. I’m not a big fan of wasting time just to fill up empty space with words, so what I’m about to give you is a quick, fast, and dirty rundown. You don’t need a large team to be successful, you simply need the right team. I’ve summited high mountains with only a few guys. My ambulance paramedic crew was only 2 of us. 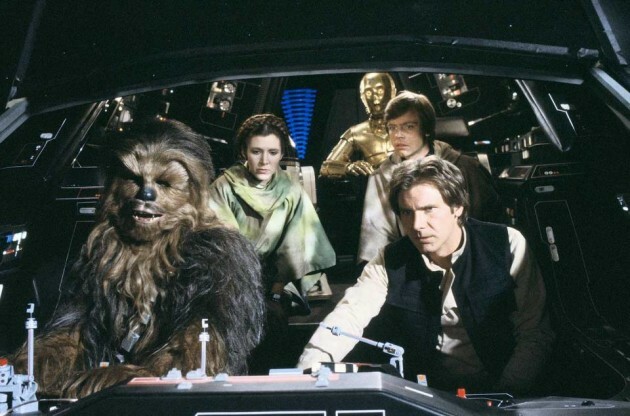 You can’t wait until there’s a crisis before you assemble your small teams. Do it right now and give them a chance to practice before something happens. 550 Parachute Cord is made out of 7 cords inside a 32 strand sheath. Each cord has a weight capacity of 50 pounds, but together, as a single unit with the sheath, it can handle 550 pounds. The math doesn’t add up, but that’s the beauty of small teams. The strength is greater than the sum of the parts. In the Marines we referred to our most basic functional unit as a Fire Team. Fire Teams are Fast and Focused, Independent, Resourceful, Efficient, Task Oriented, Exciting, Agile, Adaptive, and Mobile. 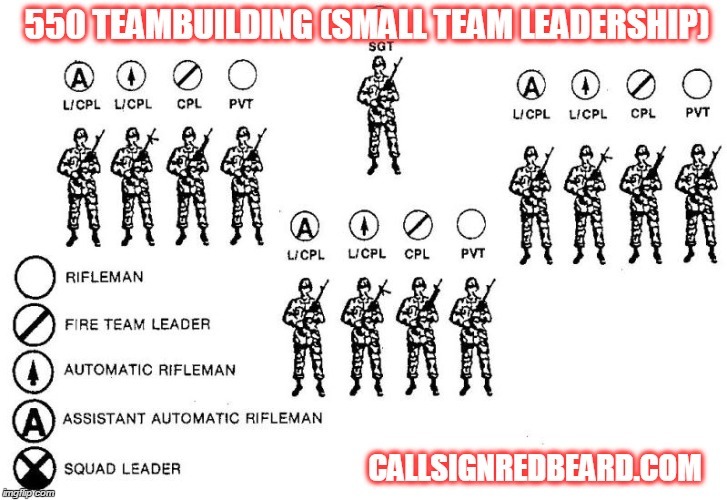 Depending on your needs, you can stack all positions other than the Fire Team Leader more than one person deep, but to remain as a Fire Team, do not extend beyond 7 people. With just about any endeavor, a threshold higher than 7 should be organized into multiple Fire Teams. Every member of the Fire Team should understand and appreciate the positions and duties of the other members. It is the company’s job to enable the Fire Teams to complete their mission. I learned from personal experience that works when bullets are flying and avalanches are tumbling, established small teams work. If you have questions, just get in touch. If you need help, I’m here to serve.